Great Britain's Lee Pearson topped the Grade 1b Team Test as the Para Dressage Championship got underway at the Alltech FEI World Equestrian Games™ in Kentucky, USA today. Photo: FEI/Kit Houghton. Great Britain scored a double on the opening day of the Para Dressage Championship at the Alltech FEI World Equestrian Games™ in Kentucky, USA today, while riders from Holland, Germany and Belgium also topped their divisional contests. Lee Pearson, a living legend of the Para Dressage world, clinched the Grade 1b Team Test honours with his nine year old gelding, Gentleman, while fellow-Briton, Anne Dunham, steered Teddy into pole position in Grade 1a. Para Dressage has been included in the FEI World Equestrian Games™ for the first time in Kentucky, and the big question is whether any of the other competing nations can beat break the British stranglehold. Great Britain has won team gold in every championship since the sport began. Para-Dressage, which joined the FEI disciplines in 2006, provides riders with physical disabilities the opportunity to compete in high performance equestrian sport alongside able-bodied riders from all over the world. 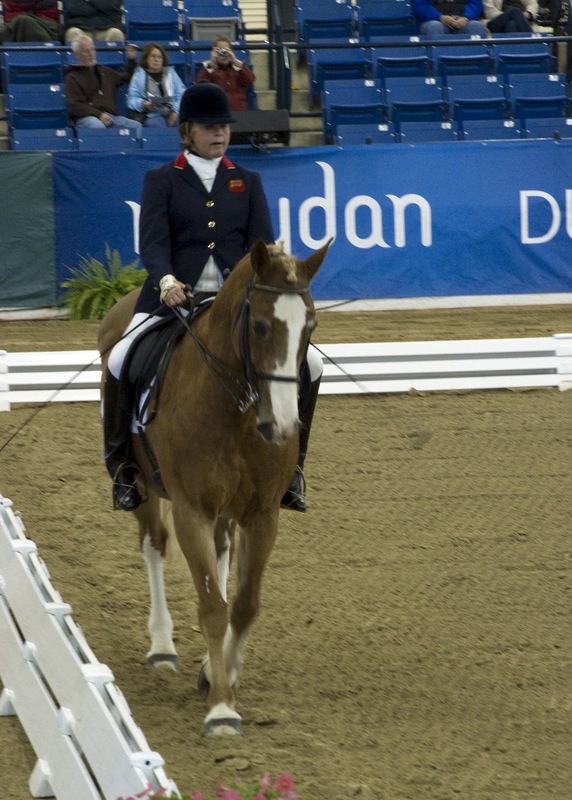 The FEI was one of the first international governing bodies to regulate sport for both able-bodied and disabled athletes. Scores in today's team tests will be added to performances in the individual tests over the next two days before the team medals and first set of individual medals will be awarded. 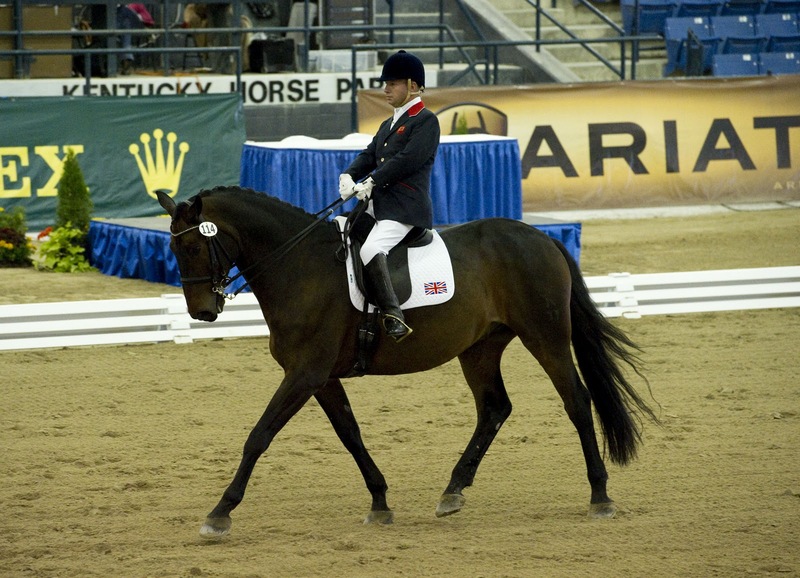 There are five grades of Para Dressage. Pearson, a nine-time Paralympic medallist, recorded a mark of 73.818% to top Grade 1b. The British rider's score left him four full marks ahead of Norway's Jens Lasse Dokkan who steered Lacour into runner-up spot. Four members of the Ground Jury - Prain (FRA) at H, Hofinga (GER) at C, Urban (BEL) at M and Geary (AUS) at B - put Pearson at the top of the leaderboard but Judge at E - Ianonne (ARG) - had Dokkan in No. 1 position. Denmark's Stinna Tange Kaastrup (Labbenhus Snoevs) finished third ahead of Denmark's Valerie Salles (Ocarina Materling) and a total of 12 competitors from nine countries - Australia, Canada, Great Britain, Norway, Denmark, France, Belgium, Brazil, Japan and Israel - took part in this division. Dunham also finished with a significant advantage when heading the line-up in Grade 1a. Riding Sally Ann Brown's chestnut gelding Teddy, the seasoned campaigner who has been competing internationally for the last 14 years hasn't allowed a recent heart operation to stop her in her tracks. "I thought the test was pretty good" she said afterwards. "It was rhythmical and steady, and he (Teddy) seemed to enjoy it. For my first (big test) in two and a half years it was very good. I had a heart attack, and I had nine months when I couldn't ride" she explained. She pinned British colleague Sophie Christiansen and Rivaldo of Berkeley into second place while America's Laura Goldman courageously controlled her nerve to slot into third. "I've got to tell you, I was scared!" said the US rider afterwards. "I'm amazed at myself. It's because my horse is fantastic, without him I couldn't do it. And my coach is really on the ball. I hope the sport grows in this this country and we get as strong as the Europeans" she added, now bursting with confidence. The Dutch dominated Grade 11 in which Gert Bolmer and the aptly-named Triumph pipped team-mate Petra Van de Sane and Toscane by a margin of 0.572, while Germany's Britta Napel and Aquilina finished third ahead of Canada's Lauren Barwick and Maile in fourth. Riders from six nations competed in this division and Bolmer, who claims he is "an underdog", said afterwards, "it was really hard work, but I think we managed to get him (his horse) right on time. We have had to walk a fine line here to get him fit. He feels now better than he has since we have been here. I am pleased. There are still medals to be won!" Talking about his horse, Bolmer continued - "I bought him in March of 2009, and at the time it was an emergency because my other horse was injured. I needed a horse for the selection trial for the European Championships. He has developed really well since then" he explained. In Grade 111 it was Germany who held the whip hand when Hannelore Brenner and her Hannoverian, Women of the World, pipped Denmark's Annik Lykke Dalskov (Preussen Wind) by almost a three-point margin. "For the first test it was OK, because it was a little bit safe" Brenner said. "I wanted to keep him in front of my aids. It's not too easy, because there are only short trots (in this test) but I'm very satisfied with my horse" the rider added. Australia's Sharon Jarvis (Applewood Odorado) slotted into third here ahead of Holland's Glasten Krapels (Matador) in fourth, and eight riders competed. Belgium's Michele George joined the winner's circle when topping Grade IV with a test from FBW Rainman that put them almost two marks ahead of runner-up Frank Hosmar (Tiesto) from Holland. Danish athlete, Henrik Weber Sibbesen (Rexton Royal) took third ahead of Philippa Mary Johnson (Verdi) from the Republic of South Africa and there were 12 competitors in the Grade IV line-up. The Para Dressage Championship is taking place in the Alltech Arena which last week was the venue for the super-successful Reining Championship. And the Para Dressage riders found the atmosphere just as electrifying as the Reiners did. "My horse never heard so many cameras clicking going down the centre-line, but he was good today!" said Lee Pearson. "Even if he does a test like that again in two days I'll be well pleased" he added. The Para Dressage Championship resumes at 8.30 am local time tomorrow (Wednesday) morning.